Fly Tying Synthetic Hackles from troutcatchers, choose from our comprehensive catalogue below along with over 4,000 Premium Fly Tying Materials, sourced from Worldwide leading brands including Veniard, Turrall & many others. 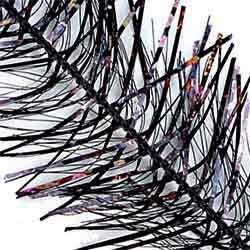 Tri Lobal Hackle - Crystal Mix - A mix of Tri Lobal and Pearlescent Fibres. The Tri Lobal Hackle Crystal Mix have the properties of pure Tri Lobal but is much more reflective. 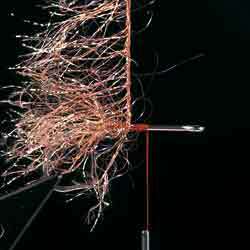 Hackle Flash - A thread based hackle. This Hackle Flash enables uniform hackle winding. Choice of very bright colours.